Every year, Japan Day welcomes your participation to the event. See how you can get involved in our next event. 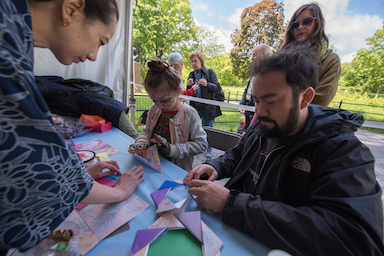 Japan Day's activity tents include a variety of fun and family-friendly Japanese activities, while our food tents offer free samples of mouth-watering Japanese cuisine. Volunteering at Japan Day will be one of the best opportunities to meet people and experience Japanese culture. You can apply as an individual volunteer or a group volunteer.